I am a jazz vocalist, specializing in the sounds and vocal stylings of the 1920’s, 30’s, and 40’s. I sing primarily with the Mint Julep Jazz Band, a little big band with a lineup of 4 horns, rhythm section, and vocalist, that recreates the jazz sounds of the 1920′s, 1930′s, and early 1940’s through arrangements based on original recordings from the jazz age and swing era. 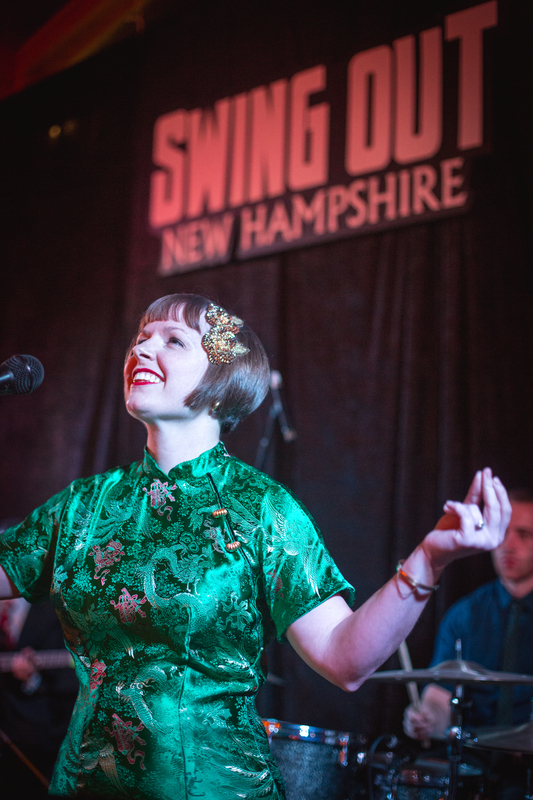 My husband, Lucian Cobb, and I formed this band in 2012 to be a dance band, the kind that makes you want to swing out! If you would like to book the Mint Julep Jazz Band, please email me at mintjulepjazzband@gmail.com. For more information about the Mint Julep Jazz Band, photos, videos, and audio, please visit the band website at http://www.mintjulepjazzband.com. To listen to the band and purchase tracks or albums, check us out at CD Baby, Bandcamp, iTunes, Amazon, Spotify, and just about anywhere digital music is sold. Finally, here’s a fancy Google map of every city where I’ve performed since 2012 – I’d love to come to your city, too!